April 30, 1975: Guerrilla Nguyen Trung Kien guides the libreation army to attack the Presidential Palace. It took 30 years of hard fighting, but the last weeks were like a blur. First a lightning assault in Vietnam’s Central Highlands. Then rapid attacks on the coastal cities of Hue and Danang. Then the People’s Liberation Armed Forces converged on Saigon from all sides. The puppet government leaders and hangers-on raced for helicopter liftoffs at the U.S. Embassy, along with Western journalists, embassy staff and camp followers. The People’s Army now had tanks and artillery as well as large-scale regular forces. In every town and village, they met with people’s militias and irregular troops who “opened the door” for them. The forces of the Saigon puppet army scattered in the face of their assault. This April 30 marks the 40th anniversary of Vietnam’s 1975 Great Spring Victory. This long, unrelenting war — first against Japan in 1945, then France (supported by the U.S.) from 1945 to 1954, and then directly against U.S. imperialism — defined an era. In 1966, Che Guevara called for “Two, three, many Vietnams!” Vietnam-style struggles emerged in the Portuguese African colonies of Guinea-Bissau, Mozambique and Angola. They achieved victory alongside the Vietnamese. Guerrilla uprisings also surged forth in Central America. The Vietnamese victory march was planned months in advance. All aspects of the previous 30 years of struggle came into play. There was the Ho Chi Minh trail — a network of roads through jungles and mountains used to funnel a steady supply of weapons, ammunition and food from north to south despite endless U.S. bombing. The tunnels of Cu Chi were strategic underground command and recovery centers. The 1968 Tet Offensive had showed the world what the Vietnamese resistance was capable of. All these successes were based on the strategy of people’s war. All efforts by the U.S. to defeat this core strategy — such as the “pacification” and “strategic hamlets” programs — were hopeless. “When a whole people rises up, nothing can be done. No money can beat them,” Gen. Giap told the Liberation News Service in 1969. “That’s the basis of our strategy and tactics, which the Americans fail to understand. Mobilization of the entire people meant women, men and children, young and old, countryside and city, north and south. The Saigon puppet administration was penetrated by patriotic spies at all levels. One famous example of the women fighters is the iconic photo of a small peasant woman brandishing her AK-47 as she guided her huge, humbled captive — a downed U.S. bomber pilot — through the forest. Then there is the story of the attentive waitress at a Saigon officers’ club frequented by U.S. commanders. After the victory she was publicly honored as a colonel in the PLAF. 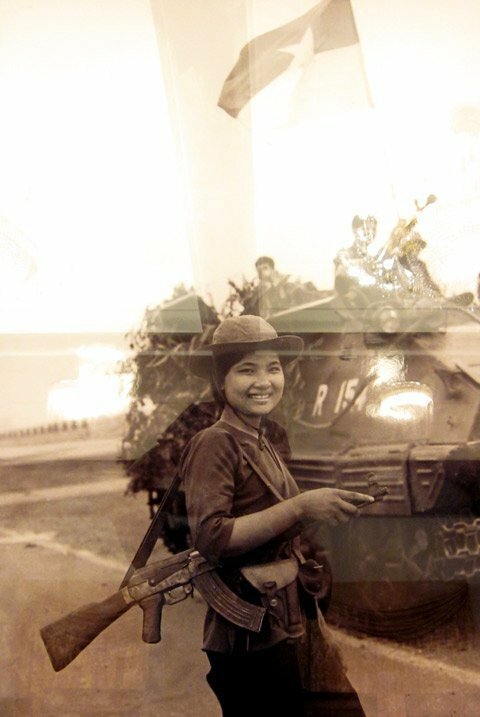 The entire world came to know Madame Nguyen Thi Binh, who represented the National Liberation Front in the Paris peace talks. The revolution’s leaders were tempered by decades of struggle. For example, Le Duc Tho, famous in the West as Vietnam’s lead negotiator in the Paris Peace Talks — who was awarded but rejected the Nobel Peace Prize in 1973 rather than accept it together with war criminal Henry Kissinger — signed the 1975 battle plan for the final spring offensive, on behalf of the Workers Party leadership. Born in 1911, Le Duc Tho had helped found the Indochinese Communist Party in 1930. French colonial authorities imprisoned him from 1930 to 1936 and again from 1939 to 1944. After his release in 1945, he helped lead the Viet Minh, the Vietnamese independence movement against the French, until the Geneva Accords were signed in 1954. From 1948 until 1975, he was a leading organizer for the southern front. After signing the 1975 battle plan, Le Duc Tho rode to the command center in the Central Highlands, down the Ho Chi Minh Trail by motorcycle, at the age of 64. There he remained, helping to coordinate offensives in three directions until the final march into Saigon. Vietnam’s victory was global. The Soviet Union, its eastern European allies and the People’s Republic of China provided arms, ammunition, food and much more. Anti-war movements in countries across the globe provided very substantial moral support. 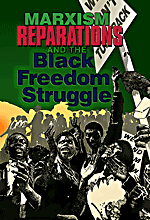 In the United States, anti-war forces, together with the explosive Black Liberation movement, spawned a large-scale resistance to the war among youth who refused to be part of the war effort. The result was a virtual strike of GIs in the combat zone, as well as rebellions at U.S. military bases across the U.S. and around the world. The AK-47 rifles used by the Vietnamese People’s Liberation Armed Forces were made in Czechoslovakia. The anti-aircraft weapons, as well as trucks, tanks and artillery, were made in the USSR and China. Vietnam was the front line in a global war against U.S. imperialism, and this gigantic solidarity effort was a material factor in Vietnam’s victory. Gen. Giap said in 1968 that “the army and people in North Vietnam have shot down more than 3,200 of the most up-to-date aircraft of the United States, killing or capturing a sizable number of top American pilots, and have sunk or set fire to hundreds of enemy vessels. The so-called air superiority of the U.S. imperialists — the chieftain of imperialism which used to boast of its wealth and weapons and which is notorious for its cruelty — has received a staggering blow at the hands of the Vietnamese people.” (Army Day speech, Dec. 21, 1968) This was three years before the PLAF knocked out 30 B-52 Stratofortresses — a third of the U.S. B-52 fleet — while resisting Washington’s last-ditch Christmas bombing of North Vietnam on the eve of the Jan. 27, 1973, peace agreement. In 1968, Gen. Giap spoke of “all 31 million Vietnamese” fighting U.S. imperialism. Today the population is more than 90 million, making Vietnam the world’s 13th most populous country. In 1965, Ho Chi Minh said no matter how many and how much the U.S. might kill and destroy, “We will build up our country many times more beautiful.” Since 2000, Vietnam’s economic growth rate has been among the highest in the world. All quotes are from “The Military Art of People’s War: Selected Writings of Vo Nguyen Giap,” Monthly Review Press, 1970.